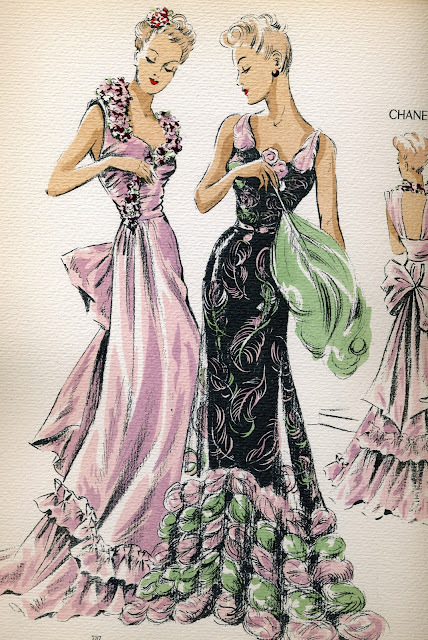 My instructor brought in to class last week this amazing, yet deteriorating book of fashion illustrations from 1940. Hopefully next week I’ll get to scan more. Here are a few! More images on my blog! Those are simply lovely! 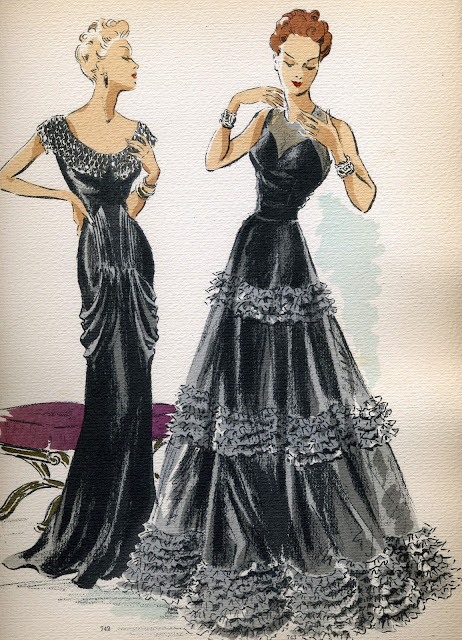 So elegant with the flowers and ruffles, and I particularly like the black gown with all those flounces. They look so fun to dance in! Wow, they’re stunning! I’m drooling…and what inspiration. Thank you for posting these! 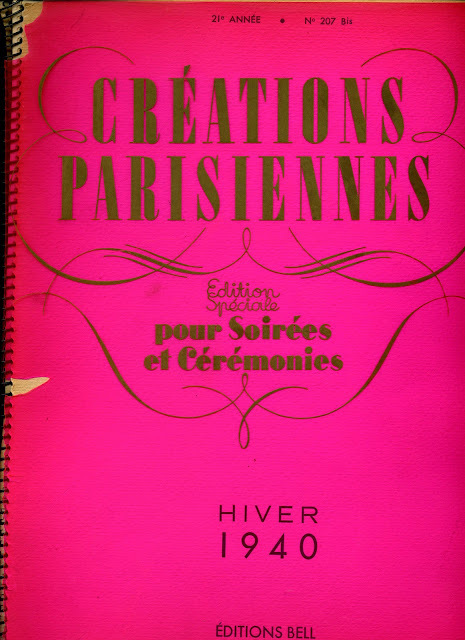 Thank you for sharing – I love these 1940s drawings. These are wonderful and I agree so inspirational.